The Australian iTunes application has reeled in a Season Twelve DVD release to be in its TV Shows section. Heave Ho!, which was originally released on UK DVD before moving Down Under, stars the first seven stories from the 2008 live action CGI hybrid series. The description tells; Wrong directions, bumpy lines, trucks coming loose, storytelling and more in these action packed stories. 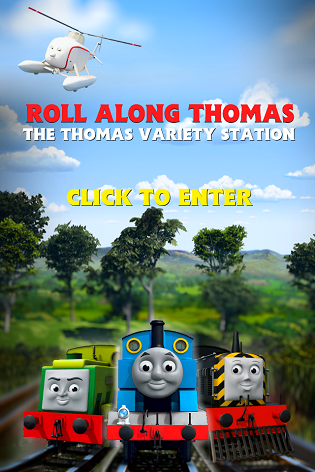 Come along for the ride and join Thomas and all his friends as they heave their loads and work together to make sure everything gets delivered on time! Thomas and the Billboard, Steady Eddie, Rosie's Funfair Special, Mountain Marvel, Henry Gets it Wrong, Heave Ho Thomas and Toby's Special Surprise feature in the digital purchase. Heave Ho! is now available to buy on iTunes in Australia for $9.99. Episodes can be purchased individually for $1.49. Thanks to NWR1991 for the alert.